Yvette Nachmias-Baeu has been a psychiatric nurse, a professional actress, an advertising producer at a major New York agency, a farmer, and a creative entrepreneur. Founder of the South County Montessori School, she met her husband while working as an administrator at Brown University, and joined him in creating a business which allowed for years of memorable travel abroad. She lives and writes in rural Rhode Island. November 3, 2018. Best Friends nominated for a Dorry Award for best non-fiction. May 15, 2018 Best Friends is published and available through Amazon, Lulu.com, Barnes & Noble, or your local bookstore. September 7, 2017, University of Rhode Island. Ollie Presentation. The Empowerment of Loss. Four authors, four books, four presentations. One discussion. APRIL 7, 14, 21 2017 - 12:45- 2:45 - EDWARD KING HOUSE, NEWPORT, RI. SEMINAR, "SURVIVING LOSS"
MARCH 18, 2017 - SK LIBRARY - PEACE DALE, RI -LOCAL AUTHOR'S SHOWCASE. FROM 10 AM - 4 PM. MY PRESENTATION AT 3:25 PM. MARCH 7, 2017 - RADIO INTERVIEW. 9 AM. WNRI 1380 AM. 95.1 FM- INTERVIEW WITH WAYNE BARBER'S AUTHOR'S HOUR. 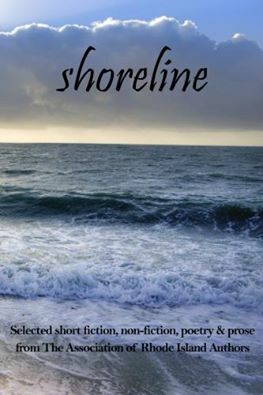 Saturday, December 3, 2016 • 11 a.m. to 5 p.m.
June, 2016 Publication of short story, Sylvie in Shoreline an Anthology.